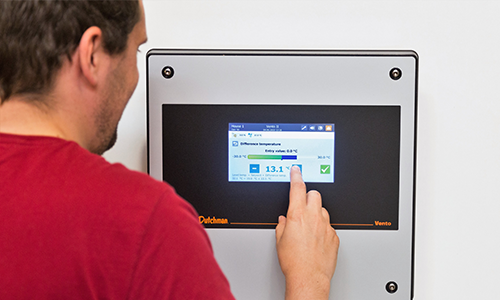 307 Pro is a user-friendly climate computer that creates optimum pig climate control when combined with BigFarmNet software. In addition to temperature control, control of cooling and soaking are also part of its capability. A temperature-controlled emergency opening system ensures survival of the pigs in the event of power failure. This easy-to-use climate computer ensures ideal climate conditions in your pig house. 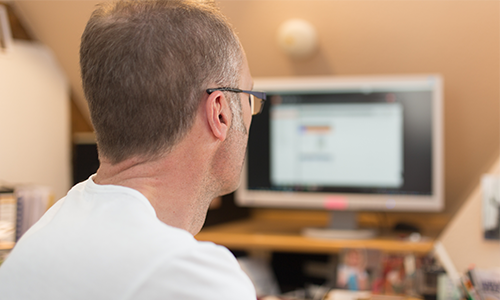 The computer is well-structured and very user-friendly. It is also incredibly simple to install and to put into operation. Fresh air and exhaust air, heating and cooling are controlled reliably. 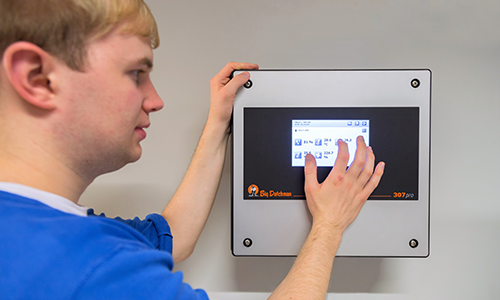 Big Dutchman’s AC Touch alarm system will alert you to falling or rising temperatures, fires, motor failure and more. Set required inputs to monitor and AC Touch will notify you when something has gone amiss. Best Reader ear tag reading registers the sow number and transfers it wirelessly and quickly to smartphones and tablets via Bluetooth. 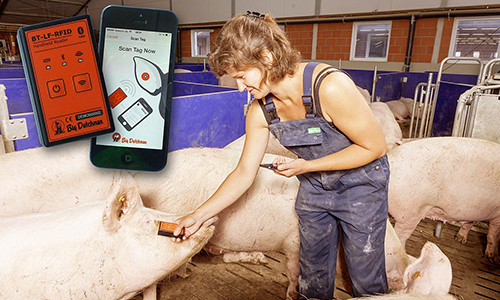 The BigFarmNet app, which is available for Android and iOS mobile devices, connects the transponder number and the corresponding animal data, keeping the farm manager up-to-date in his sow house, whether he is online or offline. Control and administer your entire farm with a single software. No matter whether its a sow or finishing barn, feeding or climate, one house or an entire farm complex, BigFarmNet is the all-in-one solution for your farm – even if it’s is spread among several locations.